360° CONTINUOUS ROTATION AND 110° PAN CAMERA HEAD. 60M X SEWERCAMTM UTRA-PUSH CABLE. DUAL LI-ION RECHARGEABLE WITH UP TO 6HR POWER TIME. 240V RECHARGE AND POWER. 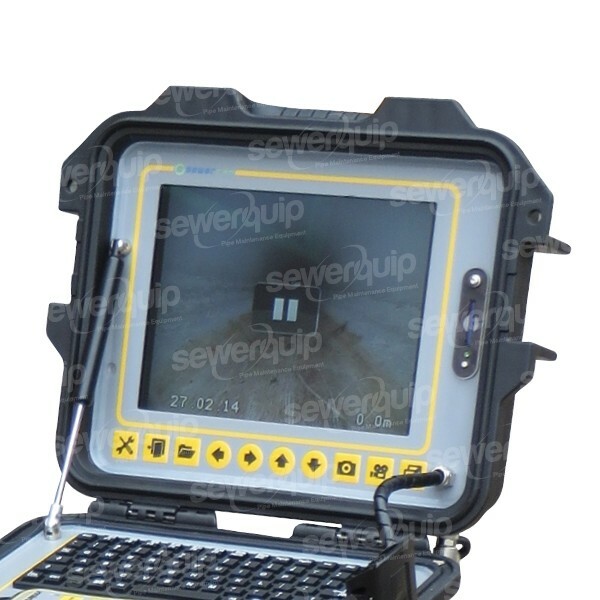 The SEWERCAM ZR60-PTZ pan & tilt camera is the perfect system for comprehensive pipe inspection and reporting in pipes from 70mm – 400mm in diameter. Large 8.4" high definition TFT LCD screen will give you the clearest picture possible. 60m of sturdy camera push cable. Compact and flexible camera head will negotiate a 100mm 90° plastic bend with ease. 8.4” LCD TFT sunlight readable monitor with inbuilt video recording with text input and voice over recording. 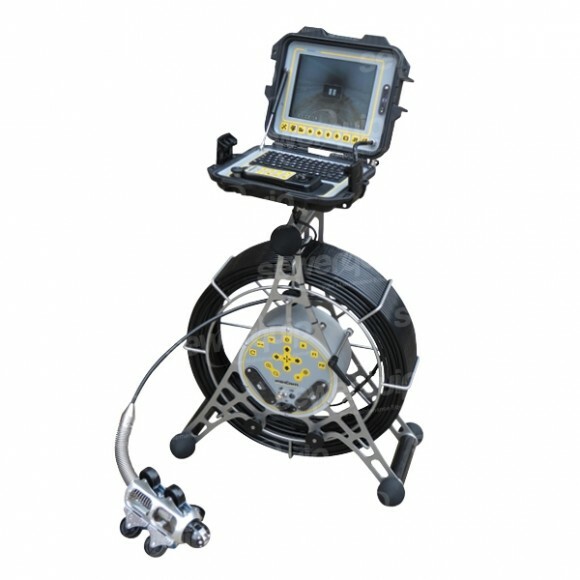 Powerful adjustable LED lights for up to 400mm pipe. Powerful inbuilt 33kHz sonde with range of up to 7m. Double hot change Li-ion rechargeable battery with up to 8hrs run time. 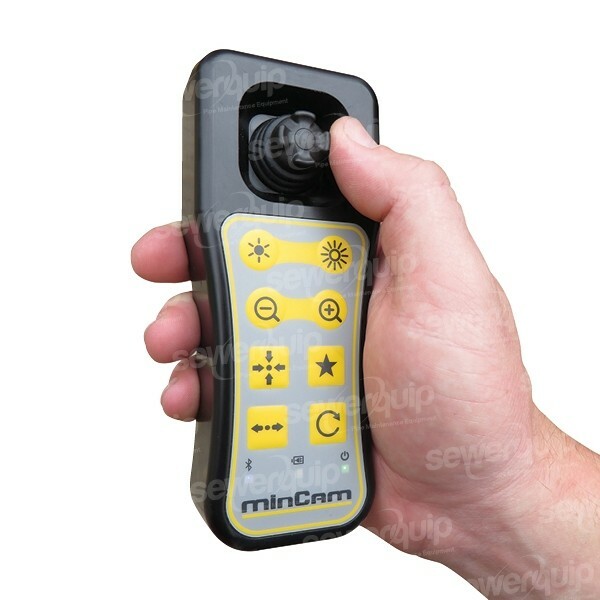 Bluetooth remote controller with pan & tilt control, light power, zoom and joint inspection control. Rechargeable battery. Easy to view even in direct sunlight. Meter counter displayed on screen.